Jesus told His disciples in John 16:33, “In the world you shall have tribulation: but be of good cheer; I have overcome the world”. Tribulation is pressure, burdens and most of us don’t do to well with “Tribulation” and so we become people with physical and spiritual needs – a need to be ministered to. 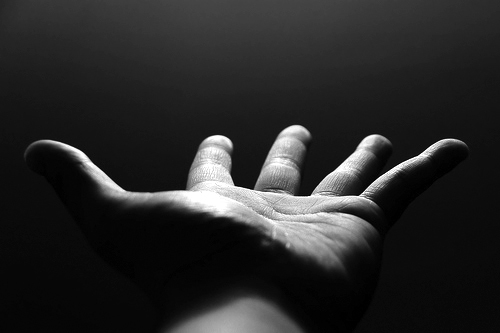 Ministry is reaching out to people many times in desperate need – physical and spiritual – the whole person. Jesus met the immediate needs of those he ministered to first as part of His ministry. He revealed His heart through His actions. The problem is that we want to limit the definition of who our neighbor is. Let’s turn over the Luke 10:25-37. I believe the bible would define a neighbor as anyone and everyone. Since God so loved the world that would make our usual definition of neighbor invalid. The world outside these four walls doesn’t care how much you know! But they want to know how much you care! Jesus looked on the crowds and had compassion and took action! We are living in a world filled with a lot of hurts. We can help mend these hurts. We need to do the same thing that Jesus did. Stretch out your hand church. Father, we want and need to be more like You. Help us to see the deep hurts and needs of those around us and in spite of ourselves apply the healing power of love to their lives…In Jesus name, Amen.